AVD-1000: This is a new analog video input accessory board developed for compatibility with Digital View’s new generation controllers, e.g. SVX-1920v2, SVX-1920v3 and SVX-2560. 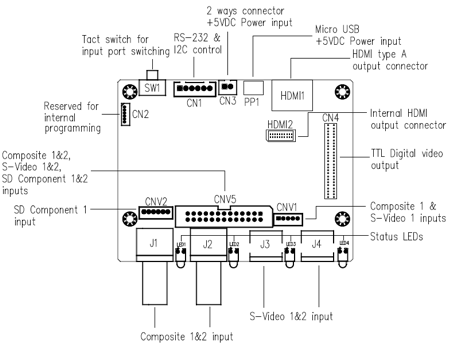 The adaptor board provides inputs for composite video and S-Video and then output directly to Digital View controllers using TTL or HDMI headers. Working samples should be available by late October 2014.